67Anabel Garcia is Vice President of Sales and Operations at BaronHR, responsible for driving profitable growth while promoting operational excellence. She is also a member of the company’s leadership team. Garcia has gained an enviable reputation for leadership, communication skills, an in-depth understanding of staffing industry laws and best practices, and her commitment to customer service. Prior to assuming her current position, Garcia was Vice President and Director of Operations for Workforce Enterprises, where she led a team of regional managers, branch managers, onsite managers and other personnel staff. She played a key role in helping determine the company’s operational, business development and staff recruitment strategies and tactics. 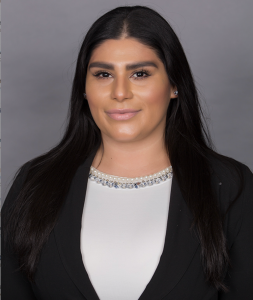 In her former role as human resources manager for BaronHR’s branch office in the city of Industry, Garcia conducted weekly safety meetings, maintained daily communications with clients and internal staff, and oversaw recruitment and placement of industrial and clerical employees. She previously was an onsite supervisor and recruiter for other staffing companies in Southern California. Garcia is fluent in both Spanish and English and has a solid understanding of a variety of software programs. She studied business and business management, with an emphasis on leadership and human resources, at Cerritos College and the University of California, Los Angeles.